Greenhouses are often used for growing plants during colder months and improving crop quality and yield amount. Industries rely on technology to control environmental conditions and ensure they remain at an optimal level. Prospective greenhouse owners should explore the available greenhouse kits on sale to get started designing a crop production space that incorporates advanced technology and maximizes output. Greenhouse production is more efficient and will increase crop yields when they are carried out the right way. They can have greater yields than those gathered with open field production. Crops planted in a greenhouse are also better protected from diseases, pests, and other hazards that may affect crops in open fields. Higher quality and consistent produce can be harvested with reduced costs. Traditional greenhouses involve vertical farming. Greenhouse owners use this method to maximize extra spaces in a greenhouse. Technological developments have allowed vertical farming to see improvements in efficiency and productivity. These include the creation of hanging basket conveyors, tray handling systems, and LED lighting systems. Efficient use of the crop production space is a way for owners to make the most of their greenhouse. The cost of maintaining the greenhouse environment remains the same regardless of whether only half of the space is used for growing or both horizontal and vertical spaces are filled with plants. Hanging basket production makes the most of vertical spaces in a greenhouse. The taller the greenhouse, the more capable it is of fitting more than one layer of hanging baskets. A basket conveyor involves a cable that moves plants to different stations. Plants can be located as close as eight inches apart from one another. The system is expensive in itself. However, it comes with significant cost reductions and ease of production. Plants can easily be brought around the greenhouse for inspection, shipping, or watering. In addition, this system allows plants to move to different positions on a regular basis. They are exposed to sunlight on all directions and on a regular basis. Plants can be moved outside the greenhouse with the use of a movable tray system. This is especially suitable for bedding plants and perennials. 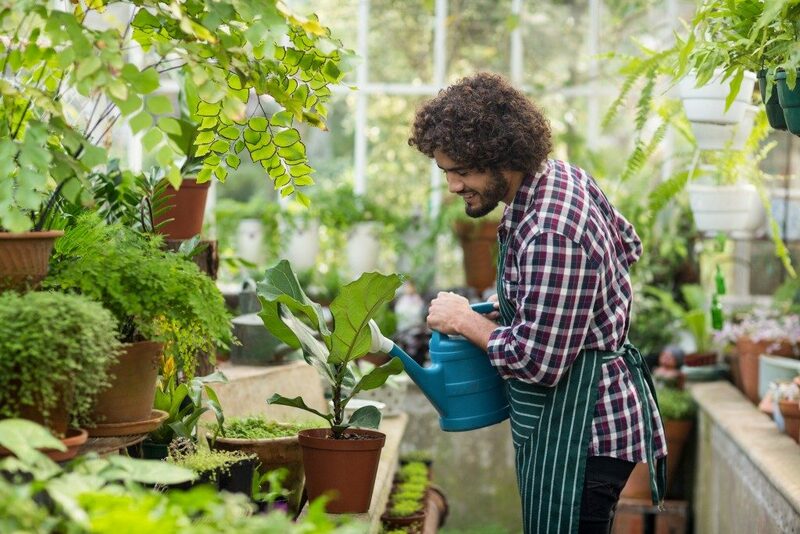 The greenhouse owner can move plants out during the spring or fall to create additional growing space in the greenhouse. Roll-out trays also increase sunlight exposure of these plants. Multi-shelf carts are used for plant germination and cutting production. Installing lights under these shelves extends growing time and increases crop production. They can be used both in a greenhouse and in closed and controlled rooms. 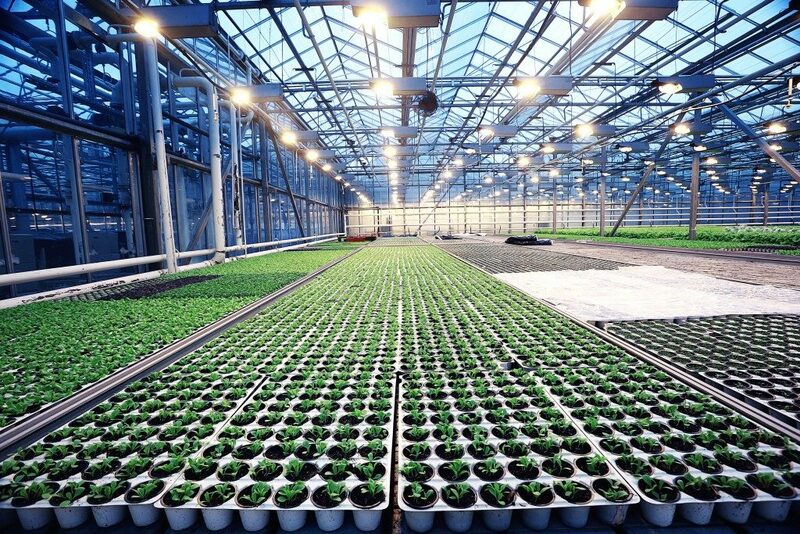 These LED lighting fixtures provide an easily managed, uniform level of light for plants. Greenhouses can store a greater number of plants with the use of stacked pots. Vertical stacks are easily rotated to provide plants with a uniform amount of light. Water and nutrients are provided from the top. Incorporating new forms of technology into greenhouse design and layout ensures plants receive an optimal level of sunlight and hydration. Greenhouse owners can increase yields and improve production rate in this way.